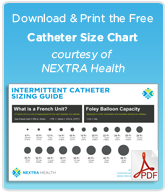 The National Associated for Continence (NAFC), an organization that provides education about the cause, treatments, diagnosis, and management of incontinence and other urological dysfunctions, has released a new educational pamphlet for consumers who may be facing urinary catheterization as well as nurses who need to instruct patients on self catheterization. 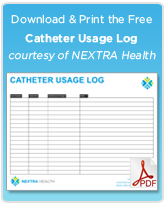 The publication, sponsored by the Rochester Medical Corporation, outlines step-by-step instructions for self-cathing, product selection, and Medicare coverage for urinary catheters. There’s also a focus on preventing Urinary Tract Infections, which are of course very common implications for many using catheters that increase suffering, hospital visits, and can even mean severe urological damage for some. Catheterization is performed by hospitals, homes, or nursing facilities about 4-5 million times per year, and the estimated cost of Urinary Tract Infections (many times due to incorrect catheterization) is over $1.6 billion US dollars annually in the United States alone. The pamplet can be purchased from NAFC’s online Paypal store here. For bulk orders, call them at 1.800.BLADDER (252.3337) or e-mail memberservices@nafc.org.